Whether exploring your favorite snow-covered trail or taking the dog for a long walk, the Stabilicers Hike are outstanding on ice and snow. Simply hook over the toe of your shoe and stretch over the sole. 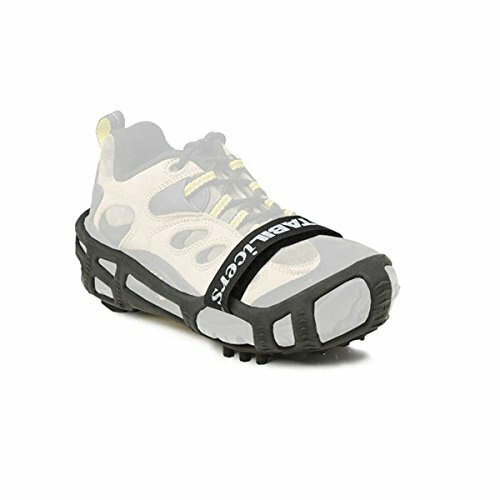 Removable Velcro straps provide additional secure fit. Proprietary TPE compound construction and heat-treated steel plates are multi-directional for aggressive traction.